Microsoft is now rolling out a new Windows 10 build 14951 SDK Preview for developers. You need Windows 10 Insider Build 14951 or greater for latest SDK. The latest SDK brings minor bug fixes and other improvements. This is still a pre-release build of the SDK. While the EULA does state this is an RTM release, it is not. This release does not have a go-live license. Apps built with this SDK will not be allowed to be on-boarded to the store. 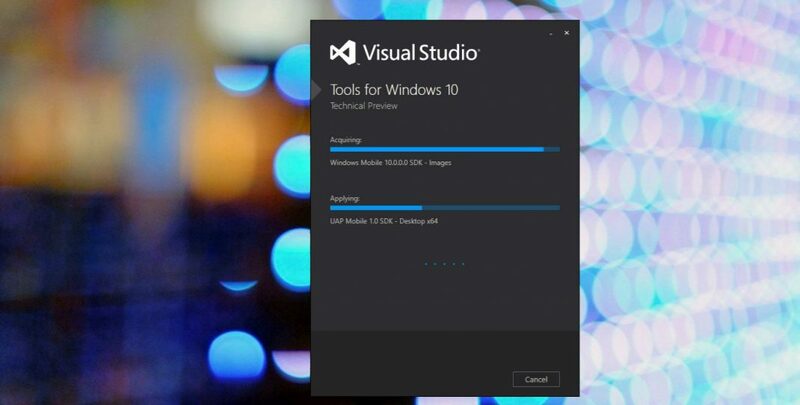 The Preview SDK is a pre-release and cannot be used in a production environment. Please only install the SDK on your test machine. The Preview SDK can be downloaded from developer section on Windows Insider. Microsoft has also released Windows 10 insider build 14955 for PC and Mobile build 10.0.14955.1000. Microsoft is releasing next major update Windows 10 Creators Update next year. Check out what’s new is coming in Windows 10 Creators Update.